Rotary Club of Saffron Walden - welcome! Please scroll/swipe down through this page to find out more about us, in addition to the pages linked in the menu, top-left. 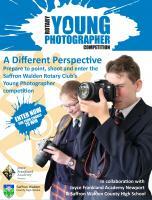 This RIBI Young Photographer pilot competition is organised by Saffron Walden Rotary Club in collaboration with Saffron Walden County High School and the Joyce Frankland Academy, Newport. Recently the local club was awarded the John Grant Trophy for the best international project of all the Rotary clubs in East Anglia. 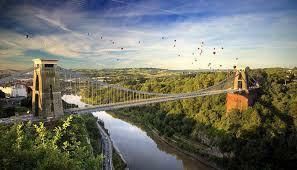 Trip to Bristol for members and their partners. An "away day" weekend of relaxation, sightseeing and getting to know you for all involved. Did you want to know more about being a Rotarian? Do you think we may be able to help? Our latest trip with physiotherapy equipment. 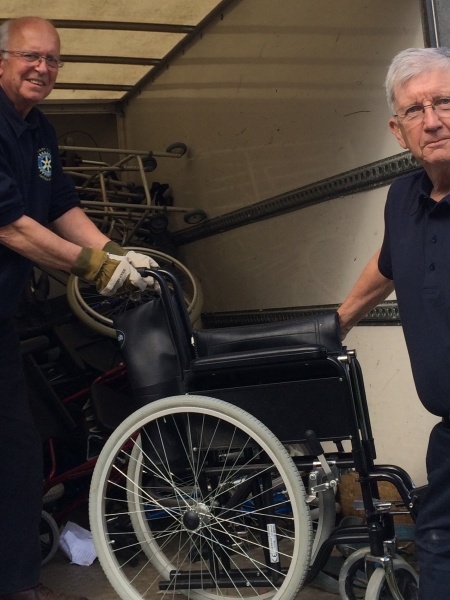 Members of the Rotary Club of Saffron Walden have just completed three urgent trips to Yorkshire with unwanted wheelchairs, Zimmer frames and crutches collected for the Knaresborough-based charity PhysioNet. For the past eighteen months, the Rotary Club has been supporting PhysioNet which collects unwanted mobility and physiotherapy equipment for distribution to developing countries. After collection and delivery to PhysioNet’s Yorkshire depot, the equipment is checked and where necessary refurbished. The three recent deliveries were to help fill a container of urgently-needed equipment due to leave for Harare in Zimbabwe in the middle of April. We have teamed up with PhysioNet to collect surplus or unwanted wheelchairs and other mobility and physiotherapy equipment for onward shipping to their depot in Yorkshire. It is then refurbished, packed into containers and shipped to 3rd world countries. We would really appreciate your getting in touch with us if you have any equipment which you think may be of use. Several members of the Rotary Club of Saffron Walden joined volunteers from other local rotary clubs to mark the start of the restoration of Great Chishill Windmill in nearby South Cambridgeshire. The windmill at Great Chishill is one of only five surviving open-trestle post mills in the country but is no longer safe for visitors. Cambridgeshire County Council closed the building about 10 years ago. As pressure on local authority budgets grew, the intended maintenance and renovation fell by the wayside and the mill was in danger of collapse.A group of concerned villagers and mill enthusiasts formed Great Chishill Windmill Trust with the aim of preserving the mill and returning it to a stable and weather-proof condition for future generations to enjoy. 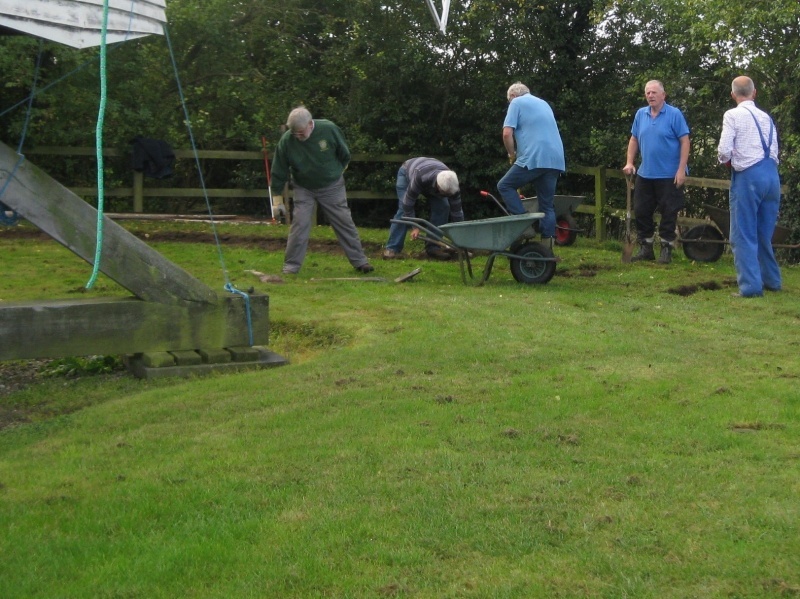 Although permission must be gained from Historic England for work on the Grade II listed building, Trust members decided to start work at the site by uncovering the fantail track, the circular track around which the tail assembly wheels travelled as the mill turned into wind around its central post. The team from Saffron Walden Rotary Club, joined a team from Royston Rotary Club, cutting turves on the fantail track at site. 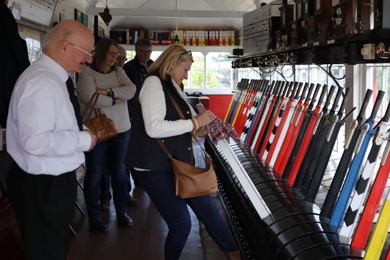 President of Saffron Walden Rotary Club, David Telford said: “We were happy to help out on such a lovely day with a glorious view and passing interests. Hopefully the exposure of the tail track will add momentum to the restoration project.